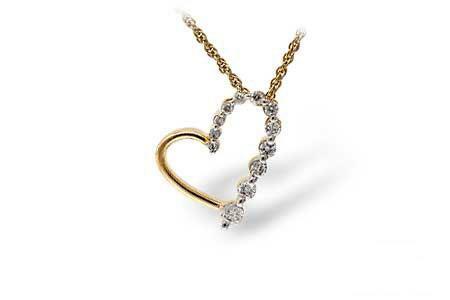 This 14k gold necklace features the quintessential symbol of love, a heart pendant bedecked in brilliant pave diamonds. The necklace features .07ct of round full cut diamond melee offering G-H color and SI clarity. 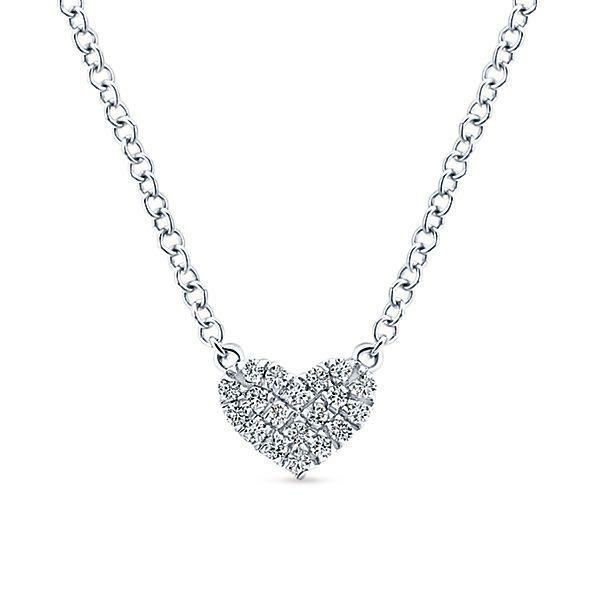 NOTE: necklace is in stock white gold and can be ordered in other metals.